Lodge LS Flannel Shirt- Mens is rated 4.5 out of 5 by 6. 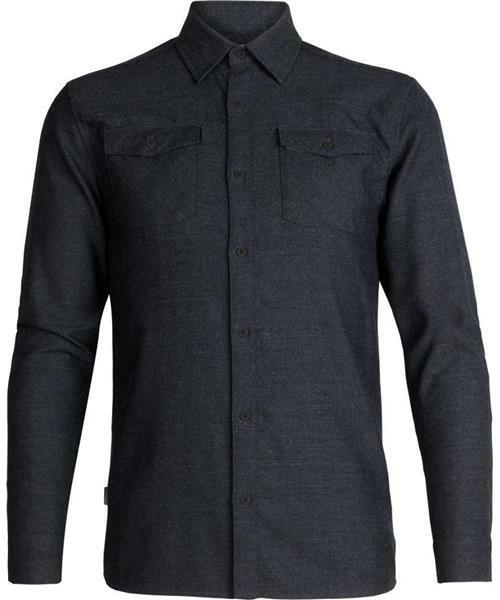 Rated 4 out of 5 by juantequilasunrise from LODGE LONG SLEEVE FLANNEL SHIRT Very high quality. Lighter than expected which makes it extremely packable but does not seem to compromise warmth. A little more fitted than I would like so slightly restrictive for movement but works well as a non technical piece (I am a little heavyset). Extremely soft to the touch, makes it very comfortable to wear. It dried in less than 45 min after the first time I washed it! Rated 4 out of 5 by zukiwskin from Great material The material is amazing, durable and comfortable. Looks great. Fit is a little weird, wide in the body and short in length and arms. Rated 4 out of 5 by E8SEG from Be Careful Washing It! This is my 2nd purchase of a Long Sleeve Flannel Shirt. The 1st one went in the wash with hot water which changed the fit for the worse and made all the button holes wonky. Be aware that it is very sensitive to temperature. It's more itchy than expected and it's dusty. If you wear it in the sunlight, you can see a lot of particles coming off it. Overall I like the shirt a lot. It's well made, warm and fits well. Rated 5 out of 5 by JGD5 from Perfect for chilly days I just gave this shirt to my husband and he loves it, Warm , light ,fits well and the blue plaid is great. Rated 5 out of 5 by michaelasnider from Warm and Technical I usually wearing this skiing, lots of warmth and looks good for apres.